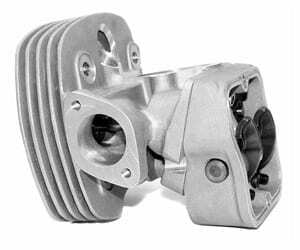 The universal casting made from aircraft-quality 356-T7 aluminum can be machined to each customers specifications for either the TYPE I or TYPE 4 engine. 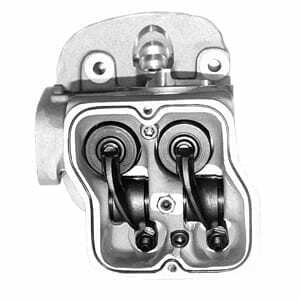 The valves of the Split-Port head open more towards the center of the cylinder “ROLL OVER” which increases intake and exhaust mixture flow by more than 20% over the best O.E.M. 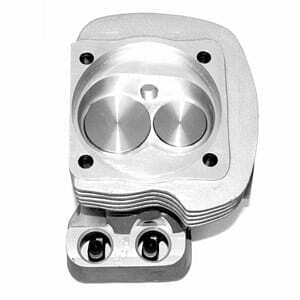 style performance heads. Basically, with the reduced valve angle, O.E.M. 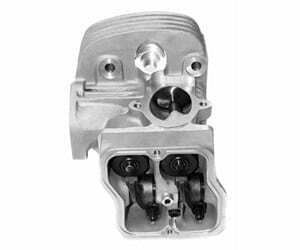 head at 9 degrees compared to the SPLIT-PORT HEAD at 6 degrees, the valves becomes unshrouded.